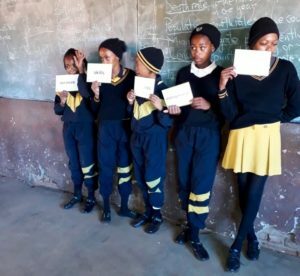 This Mandela Day, JASA coordinated a nationwide campaign to reach close on 1200 Grade 7 learners, involving 16 schools in six provinces. 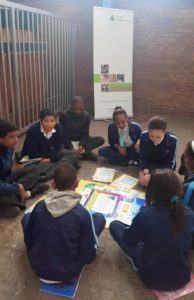 With the help of trained volunteers, our facilitators guided the learners through five interactive sessions that introduce good financial habits, in the JA More than Money in a Day Programme, spanning around three hours. 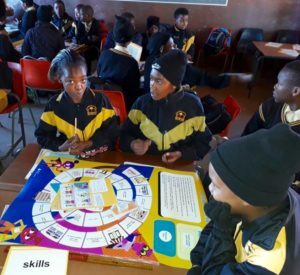 The programme is designed to be fun, with interactive games and activities. 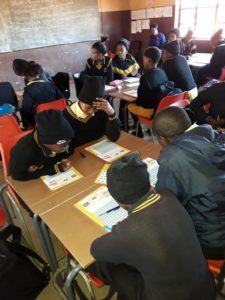 The learners at Isu’Lihle Primary School in Zola, Soweto showed great excitement when JASA staff and volunteers arrived to start the workshops and their participation was enthusiastic was unflagging throughout the sessions. 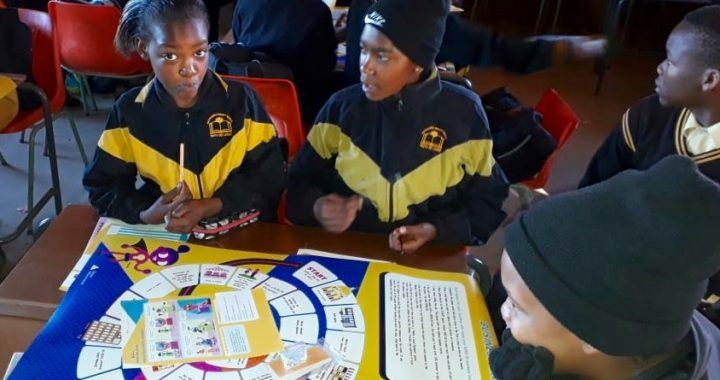 With July being Savings Month, this is an apt time for primary school children to learn about how to manage money, particularly since the rate of savings and investment in South Africa is so very low. 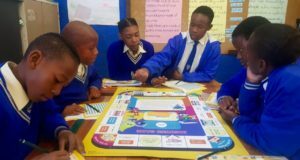 When children are encouraged to save from an early age they are far more likely to continue good financial habits throughout their lives and are more empowered to shape their futures constructively. 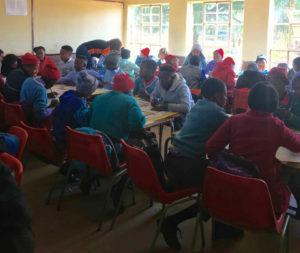 Snacks are neatly packed and ready for the break at Boschrand Primary School in Mataffin, Mpumalanga. 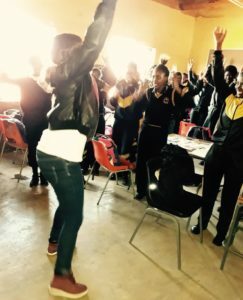 At Batlhalerwa Primary School in Phalane, North West the learners warmed up with some stretches before starting the first session. 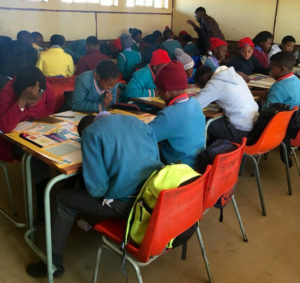 The programme reached 11 Grade 7 classes in Gauteng, with two of these at Vulindlela Primary in Orange Farm. 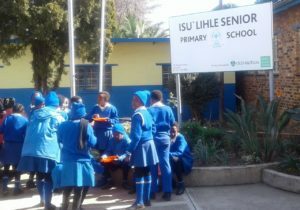 Eight Grade 7 classes were taught at Isu’Lihle Primary in Soweto. 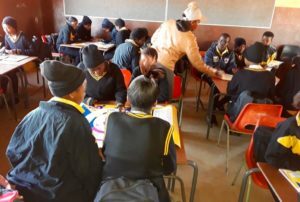 EMS teacher David Mashanyu expressed the wish that the JA More than Money in a Day Programme could be held in the school every year since it provides the children with such a good revision of the financial literacy coursework they covered in the previous term and builds on this knowledge. 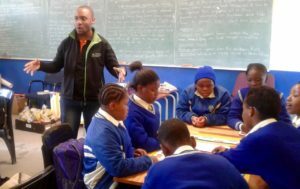 He was impressed at how much the students enjoyed engaging with the material. 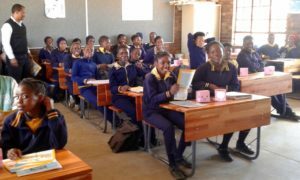 We appreciated the support of the Gauteng Department of Education, who joined JASA at Isu’Lihle to monitor how the programme was received. 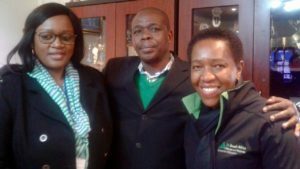 JASA MD Nelly Mofokeng (on the right) is photographed with Sinah Raseroka and Spykes Makoko, both from EMS, Johannesburg Central. 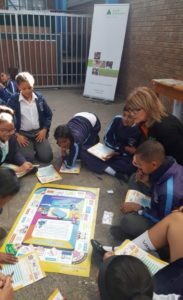 At Imperial Primary, in Mitchell’s Plain,Western Cape, it was warm enough today to do the programme in the courtyard. 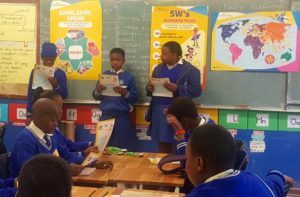 In Limpopo the programme reached about 75 students at Thakgalang Primary in Blood River Village. 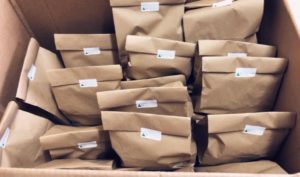 Thank you to all the schools who collaborated with JASA to make this day a success. Posted in More than Money.